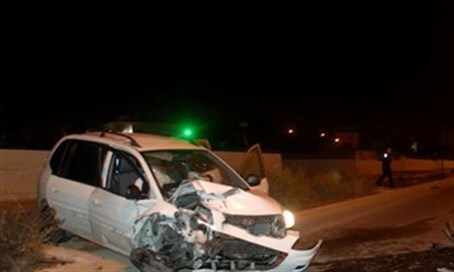 A 36-year-old mother was run over and killed in front of her two children in a shocking hit-and-run accident in central Israel on Tuesday evening. According to police, the woman had exited her car along Route 6 near Horshim Interchange after being involved in a serious traffic accident. For reasons as yet unknown, while driving north she lost control of her vehicle and hit a barrier along the side of the road. Three people were hurt in that initial accident. But when the woman got out of her car, leaving her two children in the passenger seats, a passing vehicle ran her over, and immediately fled the scene. Police have called on the driver to hand themselves in "before we get to you." Magen David Adom (MDA) paramedics who arrived at the scene tried desperately to save the woman's life, but were forced to declare her death. MDA paramedic Yair Parush described the tragic scene. "When I got to the site I encountered a female driver unconscious, with no pulse and not breathing, after she had apparently got out of her car following a self-inflicted accident, and was tragically crushed to death" by a passing vehicle.